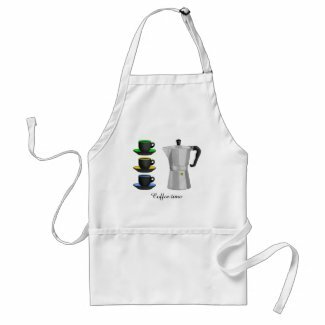 An illustration of a stove top espresso maker and a pattern of 3 espresso cups. 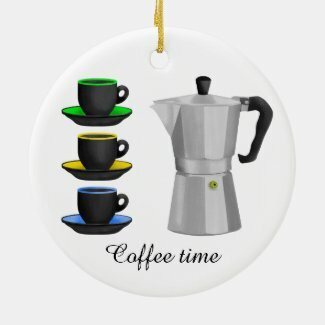 Some people call these retro stole coffee makers moka pots. 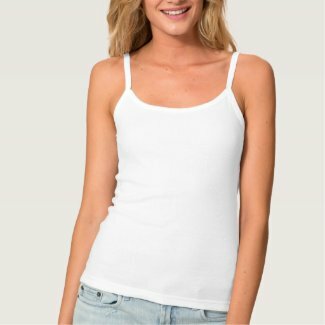 If you would like any help editing this design, adding text, or maybe you can't find it on the product you want, please contact me. 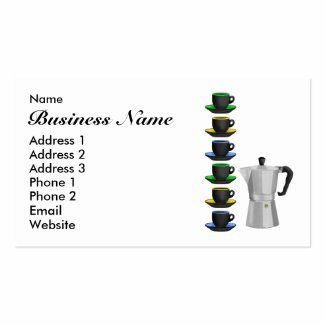 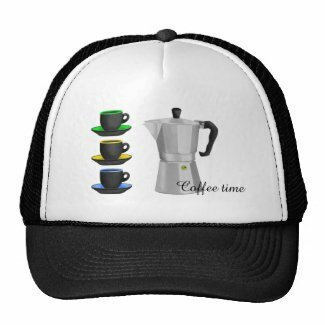 I have this design on many other products in my zazzle shop here EARLY KIRKY. 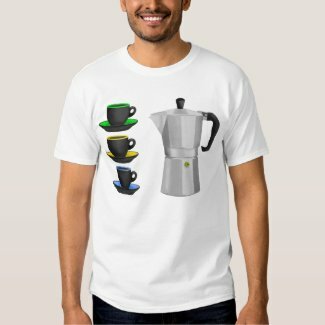 A fun tshirt for a cafe worker, or coffee lover.